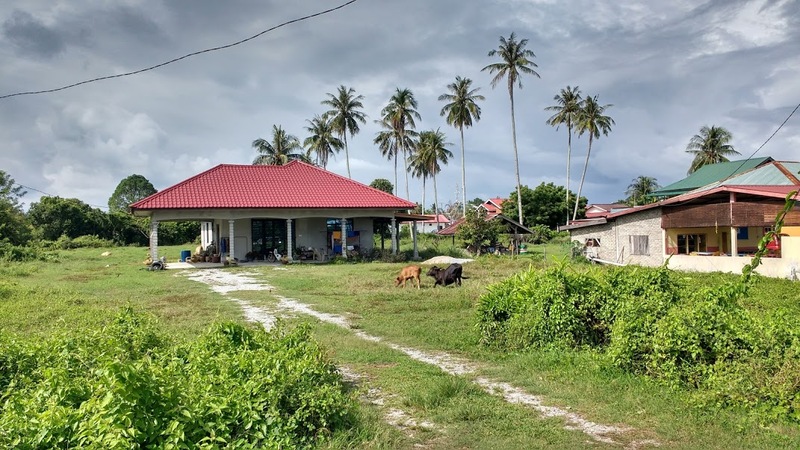 Despite having been to Malaysia twice I hadn’t written about this country yet. The reason? 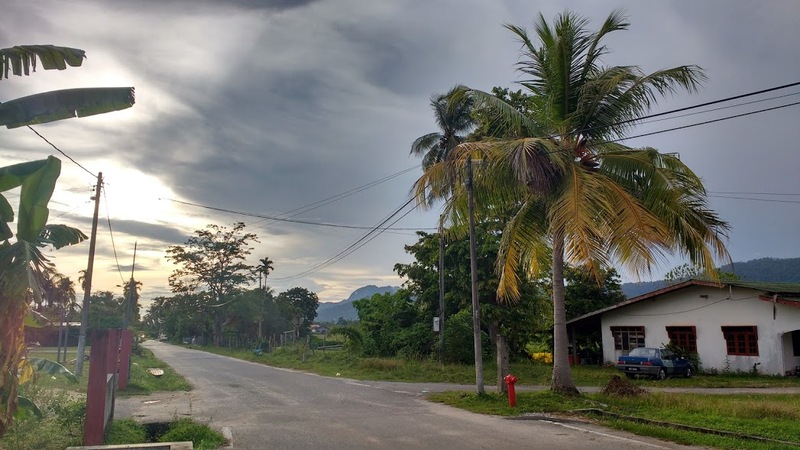 I spent most of my time in Malaysian Borneo being utterly lovesick, and on the peninsula I was actually physically sick, so I missed many of the sights! Fortunately Kieran had a much better time in Malaysia and shares the follow tips with us in this latest guest post. Malaysia is like the responsible elder sister to Thailand. Still resplendent with natural beauty but a little more restrained, a little more developed, and a little more urbane. 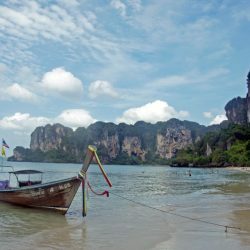 Even though your Malaysian Ringgit won’t stretch as far as it would in Thai Baht or Vietnamese dong, with some thrifty planning, travelling through Malaysia can be very cheap. 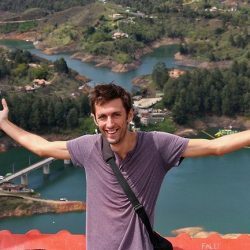 Allow me to be your guide to enjoying this diverse country on a budget. 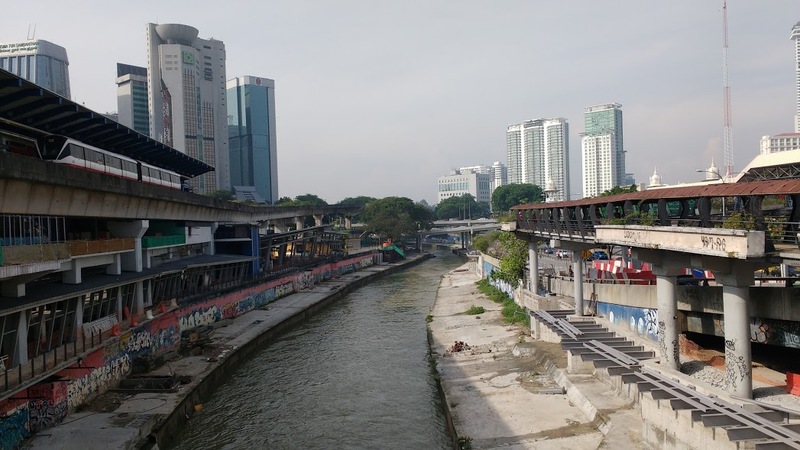 The name Kuala Lumpur is less exotic than it sounds; having nothing to do with koala bears or lumps, and everything to do with being at the confluence of two muddy rivers. For me, one to two nights here was perfect. I wanted a quick soak in this heated metropolis, which proved enough to absorb most of the flavours. 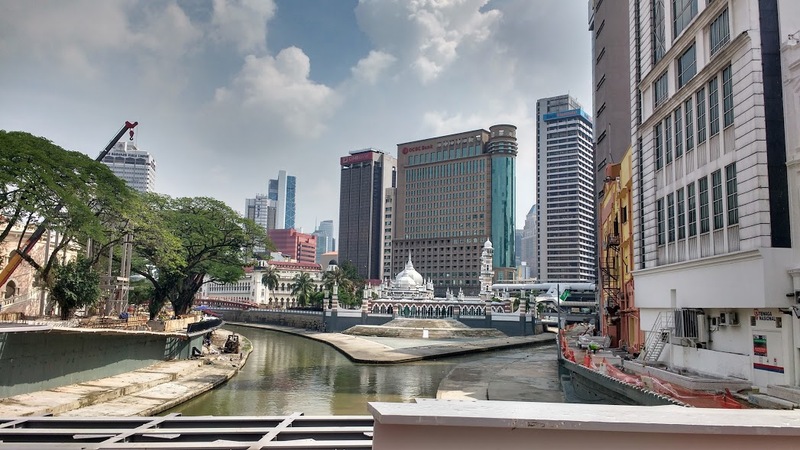 The city is slightly more expensive than regional Malaysia, but I didn’t find it too significant a difference, and so it is well worth a visit. The most striking feature of Kuala Lumpur was the diversity of architecture. I thought I had grown up in a multicultural environment in the UK, but in Malaysia the four different main population groups almost jump out at you as you walk down the street. Not literally, but architecturally there is a wealth of styles boldly juxtaposed against eachother. Islamic, Asian and modern styles all coalesce on the city streets, which makes it a place of enormous contrasts, and not just between rich and poor, as seen in the skyscrapers and shanty towns of many east asian cities, but of cultural elements woven into the streetscape. 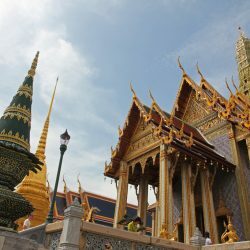 This makes for some interesting urban exploring, and while the city doesn’t feel as frenetic as BKK, the metro system is better-developed and getting around on a budget is alot easier as you don’t have to rely on taxis or tuktuks. The city gallery [location] is the first stop for most visitors; it is a tourist information centre that also forms a tribute to the architectural history and culture of the city. The highlight is a large 3D model of the city that lights up revealing key locations in the city and showing future expansion plans. You can take a free guided walking tour, or just visit the main sites on foot independently. Either way, you will probably find it impossible to miss the iconic Petronas Towers. From here, take a walk over the KLCC pedestrian walkway to Bukit Bintang, where you can salivate at all the high end consumer products your paltry budget will never stretch to. Another absorbing museum [location] that is well worth a look. Take an afternoon off and learn all about the importance of economics, Islamic banking and financial planning! You will probably be assailed by numerous overly charming men selling their handicrafts and produce, but it is worth it. Remember to haggle. I fell victim to one of these lovely tradesmen and ended up carting a hefty wooden fruit bowl round southeast Asia in my little backpack! 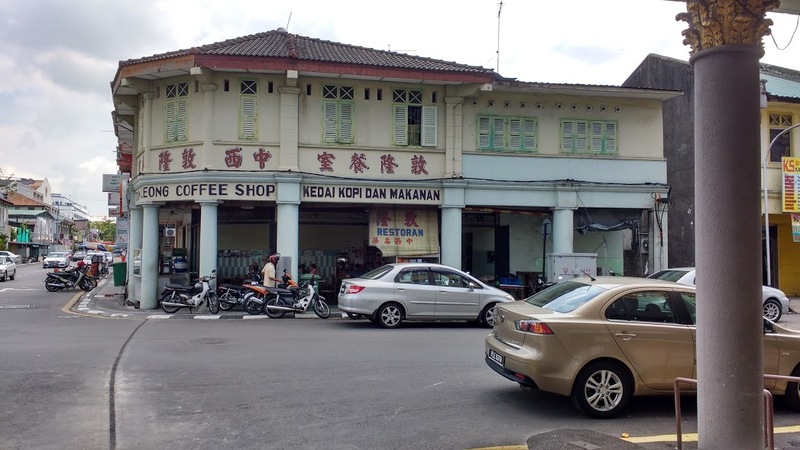 Georgetown is a quaint colonial settlement that offers a fusion of Indian, Malay and Chinese culture, all nestled within an overarchingly British colonial architectural style. This cultural diversity is also reflected in the plethora of street food available; the place is resplendent with opportunities for cheap eating, and the outdoor food courts offer authentic local cuisine at invariably low prices. As a small, self-contained walkable city, it is very navigable, and there are many buses; including a free public bus that takes a circular route around the city. 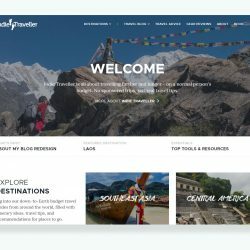 For budget travellers, I would recommend staying at the Fido hostel, which seemed to be popular with both locals and those from further afield, or the Bird’s nest hostel, which was full when I arrived but has great reviews. 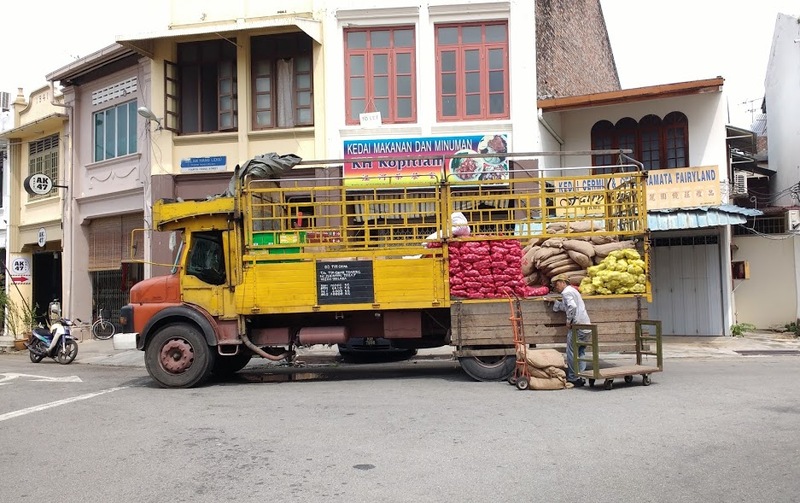 I washed down a healthy amount of beer in Penang, but you should probably avoid this if you are travelling on a budget. Unlike Langkawi, alcohol in Penang is expensive. The only way to buy economically is in bulk! Or from 7-11, which conveniently has a table and chair outside, It is hardly a characterful drinking establishment but still offers welcome respite and refreshment from heat. Chinatown is dotted with temples, mosques, and markets along with traditional chinese buildings. This is more of a street and less of a town… but it’s narrow alleys are alive with activity and you can find many artisan shops intermixt with the traditional street food vendors. Fragrant with curry and spices, you can find jewellery, indian clothing, and Malaysian Indian cuisine here. Street art is booming in Penang, and banksy-like murals can be found dotted around the city. You can wander aimlessly and still find a bunch, but if you are feeling more purposeful you could try finding the 101 lost kittens of Penang, marauded on the city walls of Georgetown. 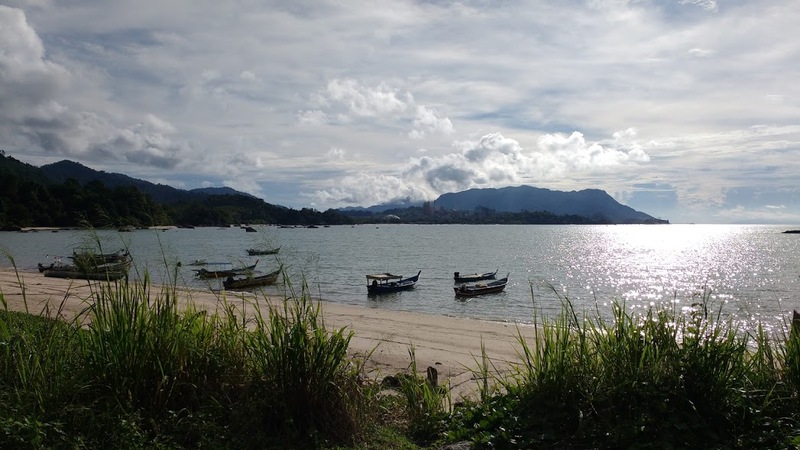 A short ferry ride from Penang, Langkawi is popular with backpackers as well as those seeking a more upmarket spa tourist destination. It is full of free things to do, and retains a tropical island feel which makes it ideal for renting a scooter to explore on the cheap. Just watch out for monkeys in the islands interior, and be careful in the traffic which can be unpredictable. There is a night market that rotates between different destinations each night, offering local dishes and produce at local prices. Cheap as hell and you can it’s all local. However this is a local event as much as a touristic one and so the signs are not in english but in Malay. I suggest downloading a translation app or learning a few phrases. On the Northern edge of the island is a black sand beach called Pantai Pasir Hitam; this is well worth a look if you prefer a more deserted coastline. It’s about… from main settlement across island. Melaka is a convenient coastal stopover between Singapore and KL. ideal for splitting the journey if you are travelling by coach down the Malay peninsula to Singapore or KL. There is little to do here, and no beach close by, but it is a charming town full of varied colonial architecture, including a floating mosque, which has to be worth checking out. There are also tonnes of shops catering to tourists, and as soon as you arrive you can’t fail to notice the outlandishly funky pedal trishaws. Complete with banging stereo system, these are sort of like Thailand’s rickshaws on acid; making an absurd spectacle of every visitor that takes a tour. You should probably avoid these if you are on a budget, as everywhere in melaka is walkable anyway. Go on a weekday, might be busy in weekends. Primarily a pet store, or grooming salon, but cosy cafe where you can cuddle up to a husky. Can’t be bad. Best time to visit early evening when Huskies are fed [location]. If huskies aren’t your bag you could try the Teddy bear cafe, Located in the Terminal Pahlawan Mall [map]. according to Tripadvisor it offers mediocre food, but amazing teddybears! That’s all on Peninsula Malaysia for now! Happy traveling. 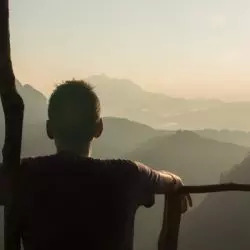 Today’s post was written by Kieran, who writes on Smartphones and Travel at SIMTourist. Wonderful tips for budgeting, I really enjoyed how you priced things out for curious readers. A lot of thought went in to this. Kudos my fiscally minded sir. In case you didn’t notice, I was being sarcastic. Your experience sounds tempting. 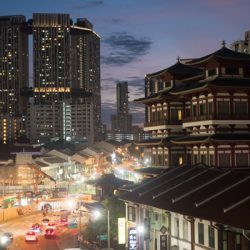 Although I too wrote an article about how Malaysia is better travel destination than Singapore.